Mousey is such a sweetheart. She is playful, curious and fun. She loves going for walks and, as a cute, cuddly, bouncy tripod (she only has three legs, but you would never know, with how boisterous she is! ), she is already the hit of the neighbourhood. She’s been playing fetch with her toys, she loves cuddling up with you to watch Netflix, and loves having her head rubbed. She is also great with other dogs. She is a little timid at first, but quickly learns to love you and shower you with hugs and kisses. Mousey is not house trained yet, but we are working on that! She’s had a few accidents inside, but is learning where she is meant to do her business – she’s really made progress in the past couple of days, it’s been almost 2 days with no accidents! I suspect she’ll be housetrained in no time. She is also starting to get the hang of commands like ‘sit’ and ‘go in your crate’. She’ll do anything for a treat so training her is a cinch. 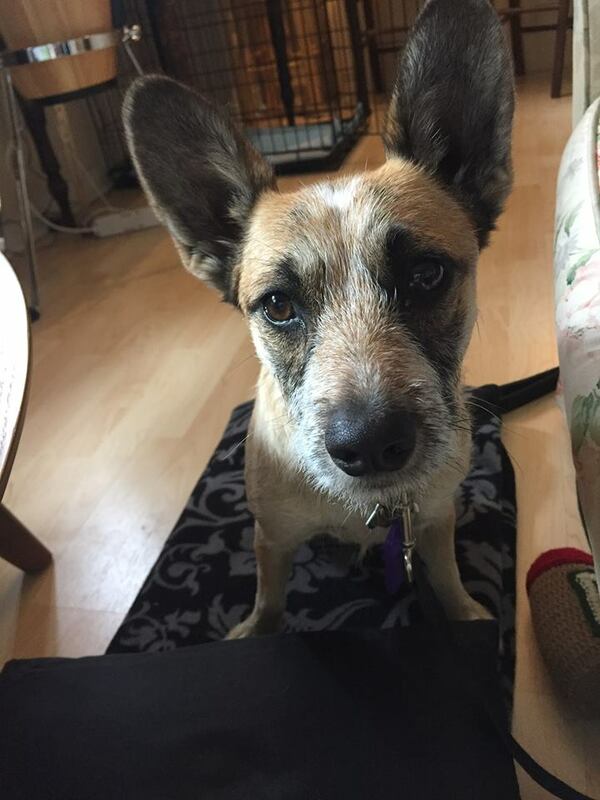 Mousey is a lovely dog and will be a warm, cuddly, happy ray of sunshine in any household.